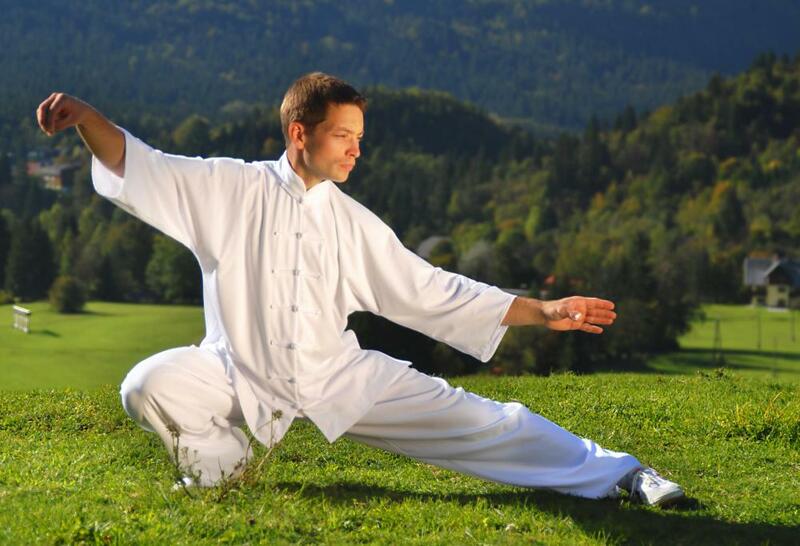 Some people work to achieve holistic fitness with tai chi. Yoga is often used in holistic fitness. Holistic fitness is a health regimen that addresses more than just muscle strength and endurance. It seeks to improve the fitness of the physical body along with intellectual and emotional health. This can be done through some traditional fitness routines, but it usually also encompasses diet, sleep habits, and methods of stress reduction. Holistic health embraces the concept of balance. It strives to blur divisive lines between the physical and the mental by addressing every aspect of a healthy lifestyle. 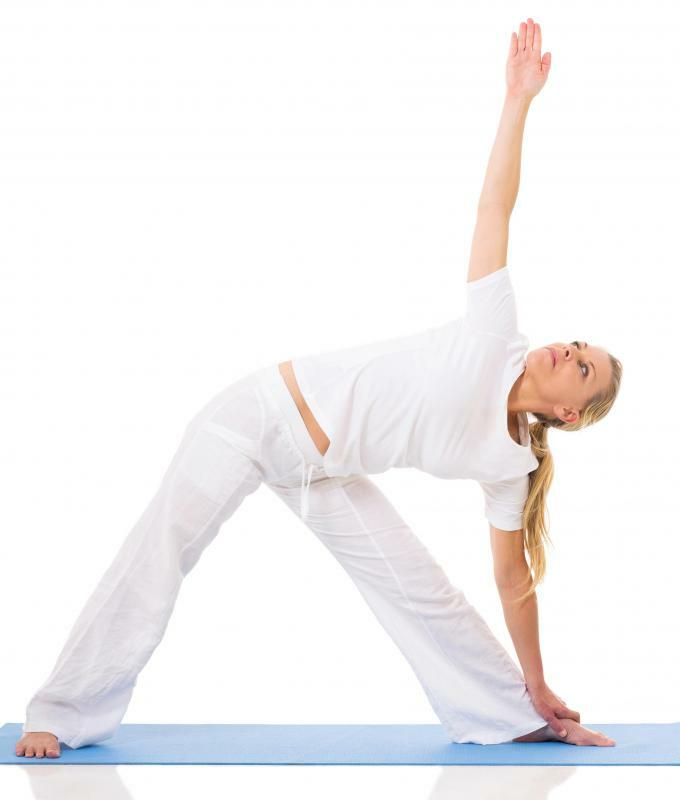 Some people work to achieve holistic fitness with yoga, breathing exercises or tai chi. Others embrace a variety of physical activities and healthy habits that they find find attractive or interesting. The physical aspects of holistic fitness might improve a persons mood, appetite, energy level and sleep patterns. Yoga is an example of a holistic fitness technique that uses physical movement to improve mental and emotional health. Yoga can be both a spiritual and physical experience. People practicing holistic fitness often alter their diets to improve health as well. Sometimes this means eating natural foods that are closer to the earth, or it could mean cutting back on unnecessary calories from snacks or binge eating. Some people report that excess eating can be caused by an unhealthy mental state, such as boredom or depression, which may be improved through holistic fitness. Holistic fitness commonly focuses on the importance of awareness. People are encouraged to be as conscious as possible about their surroundings, feelings and motives. Awareness of how different people and activities affects moods or behaviors can be the first step toward constructing a healthy lifestyle. Some foods might slow the body down and promote laziness; this knowledge might encourage a person to choose an alternative, healthy source of nutrients. One exercise might leave the body feeling beaten while another could bring a rush of excited adrenaline. Likewise, some friends might tear down a person's self esteem instead of offering encouragement and further self-improvement. The spiritual aspect of holistic fitness might entail different things for different people. One person might become more involved in a faith group, while another could find spiritual health and fulfillment through charity work, creative endeavors, or a lifestyle of generosity. People often find that as their spirits come alive, other aspects of their health begin to improve as well. Some people might find that holistic fitness is best accomplished in a group of like-minded individuals. For this reason, many holistic health clubs and spas have sprung up around the world. These centers for mental and physical health can provide classes or personalized trainers who guide students through physical exercises with the heart and mind in tow. They might also provide advice on diet or other lifestyle choices. What Are the Best Tips for Binge Eating Self-Help? What Is a Meditation Spa Retreat? What are Group Fitness Classes? I agree with @Drentel that there are some fakes who pretend to use effective holistic methods and medicines to con people, but holistic fitness exercises are very effective. I have only tried yoga thus far, but there are many holistic exercises and holistic diets that I plan to blend into my routine. I think holistic fitness and holistic medicine are great when mixed with modern medicine and regular workout routines. The reason so few intelligent people have taken part in any kind of holistic practices or alternative medicine as a rule is because there are so many con artists who are taking advantage of people by promoting false cures and false remedies. I am actually old enough to remember a guy who came around town once a year selling some type of elixir that was supposed to cure whatever ailed you. Then you also have people who are so convinced that holistic medicine is the best option that they refuse to use antibiotics and vaccines. This is fine when adults are making the decisions for themselves, but not when they are making decisions for children. I went to a therapy convention with one of my close friends. Every type of therapy practice and philosophy you can imagine was represented at the convention. I learned about many practices that I never knew existed. I do not think a large number of people in the mainstream have traditionally put much faith in holistic measures, so I was a little surprised to see how much attention was being paid to holistic therapy at this convention. I think a large number of people are opening up their minds to the possible benefits of holistic fitness and holistic healing.